Summer brings an abundance of fresh vegetables in from the garden and to your table. 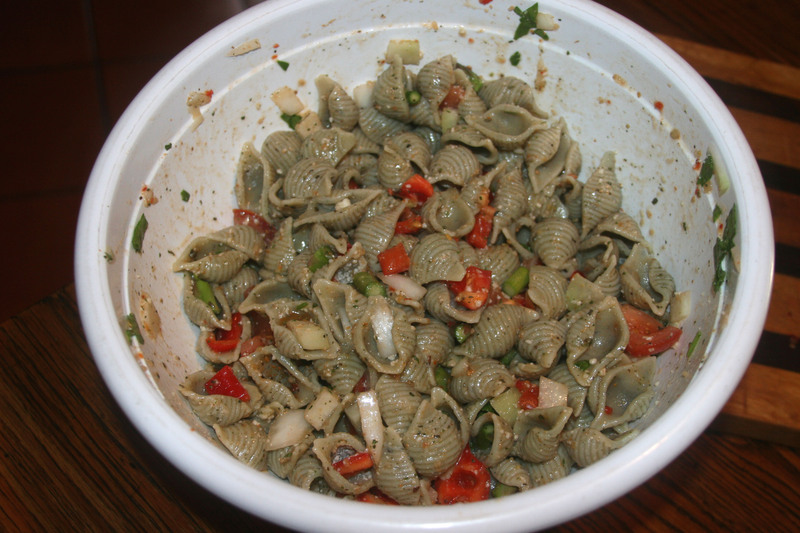 Here is a simple, yet delicious recipe for a summer pasta salad using fresh veggies, Pappardelle’s Garlic Basil Shells and our very own Spicy Italian Blend. 1. Cook Pappardelle’s Garlic Basil Shells al dente according to package directions. Once cooked, rinse with cold water to stop cooking process. 2. While pasta is cooking, cut Onion, and Bell Peppers into pieces sized to your liking. 4. Combine cooked pasta, red bell pepper, green bell pepper, onion dressiing, Lucy’s Spicy Italian Spice, and fresh grated Parmesan cheese.